If we're going by crowd numbers alone, the Best Little Brewfest in Texas may be in line for a name change. Put on by Cloud 9 Charities, co-founders Kim Cloud and Daynor Stinson estimate this past Saturday's event in Old Town Lewisville drew upwards of 4000 people (including volunteers), up from around 1200 in 2013. As for breweries, by my count the total number in attendance and pouring beer was roughly the same as last year. Among those not sampling (per TABC regulations) were no fewer than four breweries in development, each hoping to be up and running within the next year. That list of names included Audacity Brew House, Four Bullets Brewery, Frisco City Grainworks and the Little Elm Brewing Company. Combine them with a roster of brewers which included over two dozen others from Texas, and you couldn't help but notice a distinct local/regional focus, which was just fine by me. It wasn't just breweries, either, as winemakers and distillers hailing from the Lone Star State were on hand sampling their wares as well. Soon-to-be brewers definitely drew some attention, as did those recently licensed and serving beer for only the first or second time. Crowds formed around the Collective Brewing Project's tap-ready delivery van, as well as booths manned by Shannon Brewing and the Texas Ale Project. While Collective is already making deliveries in Fort Worth, Shannon Carter indicated his eponymous brewery is just weeks away from debuting, with the Texas Ale Project expected to follow in Dallas sometime late summer. For me, as always, the focus was on the new and unfamiliar. So, as you might imagine, I was more a less a fixture at the booths of the three brewers mentioned above. Between them, they brought along a total of ten new tastes, and while I won't give you a beer-by-beer account of all of them, I will comment on those I found to be notable. Shannon Irish Red: The one thing I've been most curious about regarding the brewery under construction in Keller is the fire-brewed process they were planning to install. If this beer is any indication of what it can do, I'm already a fan. Shannon's Irish Red is appropriately malty, but what's distinctive about it is the deep, lingering caramel flavor that lasts well into the finish. This kettle caramelization is just the sort of thing Carter said I should expect when he first described his approach to me earlier this year. Collective Pale Galaxy: Up until Saturday, if you had offered me anything along the lines of "session IPA," I probably would suggest you just go water the plants with it. Why? Because, to me, most of them are so lacking in body, they taste like nothing more than a glass of hop water. Then again, if you want to lower the alcohol, you need less fermentable sugars...which means less malt...which means less balance, and so on. Well, if first impressions mean anything, Pale Galaxy might be an exception to the rule. This brew was bright and fresh, with notes of tropical fruit and citrus to go along with what for others has been unattainable for the style...that being an ample body. Texas Ale Kaiser Wilhelm: It seems this has been the summer of the Berliner Weisse, with a number of Texas breweries trotting out the somewhat forgotten style over the past few months. Being the latest to throw their hat in the ring, Texas Ale offered up an "imperialized" version of the German specialty. While it did have some added heft, there was no other indication of the beer's strength. In fact, had brewmaster Jan Matysiak not pointed out the ABV, I might have never known. In any case, the beer's upfront notes of wheat grain were coupled with a more subtle than sharp sour character, which I found to be quite enjoyable. Matysiak and brewery co-founder Brent Thompson suggested this and other beers they served were one-offs created just for the festival. At least in this case, let's hope they reconsider. Rounding out the event was the Professional Brewer's Competition which pitted 88 entries up against each other in a variety of BJCP-inspired categories. Among those, the Best in Show prize went to Grapevine Craft Brewery for Sir William's English Brown Ale. As for other winners, check the Best Little website or Facebook page for a complete list once it's posted. Finally, seeing as how all of the proceeds of this event benefit the Alzheimer's association and teen suicide prevention, it's worth noting that if you weren't able to attend you can still contribute to the cause. Visit the Cloud 9 Charities website and hit the "Donate Now" tab at the top of the page to help make a difference. News comes today that Favorite Brands is prepping the release of two new brands to the North Texas market. Coming by way a B. United's world class portfolio of ales and lagers are brews from the Wild Beer Company and Brouwerij De Glazen Toren. The beers listed below are in stock at distribution and expected to begin arriving at retail this week. 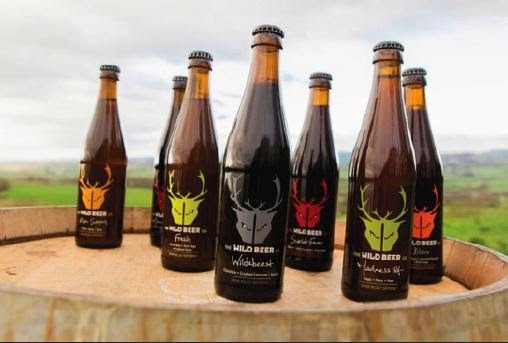 "Drink WILDLY Different" is the slogan of the Wild Beer Co., based in Somerset, United Kingdom. Described as "spectacularly and utterly unique", the brewery produces a range of beers brewed with various fruits and spices, some of which are barrel aged and/or fermented with wild yeasts. Bliss: Belgian-style saison brewed with roasted apricots and spices, then fermented with Brettanomyces yeast. Iduna Cru: Belgian-style saison brewed with Somerset apples and New Zealand hops. It's initially fermented with a wild yeast, but then undergoes a secondary fermentation in the bottle with champagne yeast. Modus Vivendi: English-style old ale aged in single-use whiskey barrels with Brettanomyces. Somerset Saison: Farmhouse ale brewed with Sorachi Ace hops. Somerset Wild: Sour English-style ale fermented with wild yeast and bacteria from local orchards. Celebrating its 10th anniversary this year, Brouwerij De Glazen Toren is a Belgian brewery focused primarily on brewing classic styles in a time-honored, traditional manner. Though located in Erpe-Mere, Belgium, many of their beers take their names from historical references related to the neighboring city of Aalst. Canaster Winter Scotch: A modern-day revival of a beer produced centuries ago in the Carmelite convent of Aalst, this ale is brewed with locally-grown Hallertau hops. Jan De Lichte: Imperial witbier brewed with barley, wheat, oats and buckwheat. It's named after the leader of an infamous gang of robbers in Aalst. Ondineke: Classic tripel brewed with all natural ingredients and no spices. The name Ondineke comes from the main character of De Kapellekensbaan (Chapel Road is the English translation), a book written by Aalst native Louis Paul Boon. Saison de Erpe-Mere: Classic saison brewed according to the traditional methods of the province of Hainaut. Cuvee Angelique (coming soon): A stronger (dubbel) version of an beer known as "Spéciale Belge", a style created for a contest in 1904 organized to help improve the quality of Belgian beer. Spring is in the air, and along with it comes a new line of beers from the Grapevine Craft Brewery. La Saison des Festivals, which translates from French to The Season of Festivals, is the first release in the brewery's new Bonnie Blue series. For history buffs, the Bonnie Blue was the flag adopted by the Republic of Texas after declaring its independence from Mexico in 1836. It features a blue background with a lone star, the design of which resembles the left portion of the modern-day state flag of Texas. Seen as a symbol of freedom and independence, its use here is meant to call attention to your right to drink great beer. As for La Saison des Festivals, you may have gathered from the name and translation that this beer is a spring seasonal saison. It's actually a fairly stylistic brew, though Grapevine adds a twist by brewing it with Mosaic hops. In terms of flavor and aroma, it's got a lasting grapefruit character that mixes with bits of Belgian funk and a hint of bubble gum, while the finish is dry and peppery with some tartness and a mild pith bitterness. The beer drinks quickly, despite being relatively big (for the style) with an ABV of 7% and a body that leans towards medium. Bright carbonation lightens things up, though, and you'd never even notice the strength if not for a subtle warming that settles in over time. 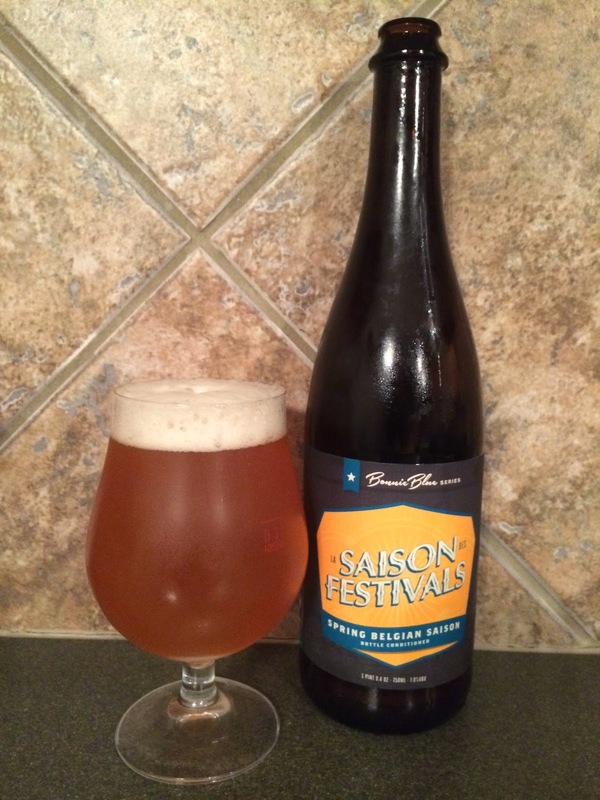 Like other beers in Grapevine's portfolio, La Saison des Festivals is very drinkable with a nice balance. At the same time, it's not just another simplistic saison, as it has some added complexity and a subtle kick. The extra alcohol might keep it from being a poolside potation, but it's a tasty refresher that would pair well with salads or a cheese plate featuring selections with a fair amount of funk themselves. La Saison des Festivals is rolling out to retail outlets as we speak. Look for it in 750mL bottles at better beer stores around town. I think it was around February of 2013 when I sat down in Franconia founder Dennis Wehrmann's office and he gave me a rundown of what he had planned for the coming year. It was the brewery's fifth anniversary and he was going to try some different things, he said, like brewing one beer with champagne yeast and another with a Belgian yeast. Not only that, he was going to violate the German Beer Purity Law by utilizing oats to brew an oatmeal stout. It took a moment for all of that to sink in, especially the part about sidestepping the Reinheitsgebot for the first time in the brewery's existence, but low and behold he wasn't done dolling out the surprises. And, oh by the way, he'd be letting head brewer Cam Horn make a double IPA. It was one of those mic drop moments, to use the lingo of the day, as a double IPA is the polar opposite of the kind of beer we'd come to expect from Wehrmann. I mean let's be honest, hoppy wasn't a word you used to describe a Franconia beer. They are typically malty, maybe with a touch of spice (thanks to a Saaz hop here and a Saaz hop there) and eminently easy to drink. Textbook session beers, if you will, with German influence to the core. Now, he was talking about releasing an American style brewed with purely American hop varieties. War er verrückt gewordon (translate)? He carried out the plan and they brewed the beer in time for the Big Texas Beer Fest that April. More than a few people (myself included) declared it to be not only a great surprise, but also one of the best beers of the festival. Even so, Wehrmann stuck to his guns and said it would be a one-time only release. 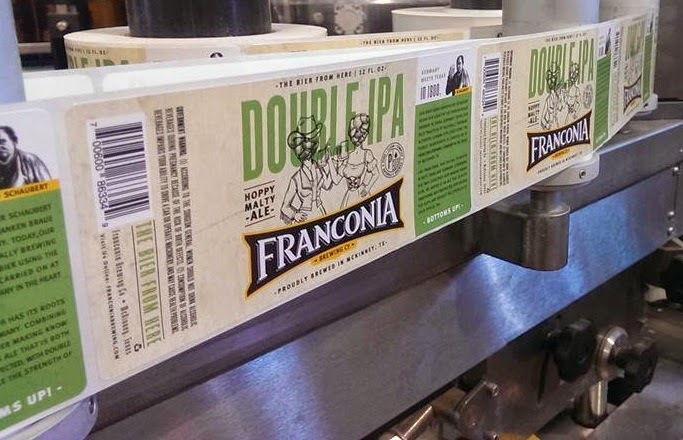 I guess he changed his mind, since Franconia Double IPA is back and heading to a store near you after being bottled this past Monday. Is it as good as it was last year? Yes, and this is just my opinion, but it would seem to stand up to most any other DIPA I've tried in recent memory. It's bright and bitter, with ample body and all the pine and citrusy elements you could ask for. Maybe it's because I sampled it essentially right off the line, but we all know freshness a key ingredient in any IPA. In other words, don't be one of these people who unearths a bottle in 6 months and instantly logs into Untappd to tell everyone how terrible it is.